Look - I Participated in an Internet Meme! Mark the date - I usually avoid these things like the plague. But I just had to know how I'd do at The World's Hardest Gary Gygax Quiz. (First, it's a quiz... on the internets. Second, it's a quiz... on the internets... about Gygax. Damn you, blog of holding.) And, surprisingly, I did better than 50%. I guess all of those hours spent reading Grognardia finally proved useful... er, sort of. Chris took the Hardest Gary Gygax Quiz in the World and got 70%! Average scores for this SUPER HARD QUIZ are 77% for people who used Google and 48% for people who did not, so you did really well. What's Gary Gygax's first name? Which of these words does NOT appear in the AD&D Dungeon Master's Guide? Redacted is correct! For once, even though Redacted used it, Gygax didn't follow suit. What does TSR stand for? What's the name of the planet that contains Greyhawk? Along with Gary, who was the cofounder of TSR? 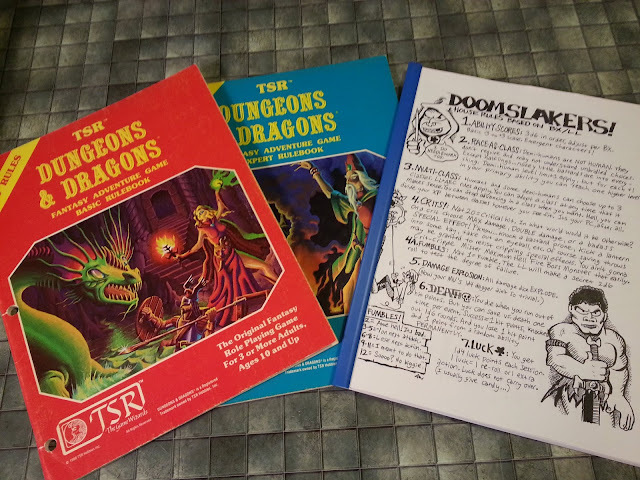 Gary Gygax DID NOT write or cowrite rules for which of the following games? Correct! Redacted was all Redacted. Gary once worked at what medieval trade? Redacted is incorrect! Maybe you're thinking of every other nerd ever who Redacted his own Redacted. Which of the following was one of Gary Gygax's D&D PCs? Incorrect!Redacted is the Redacted in the Redacted. Gord the Rogue has a barbarian friend. What's his name? Bonus: What's the name of the axe used by Gord the Rogue's barbarian friend? Redacted is incorrect! But I don't blame you; no one could have gotten this question right. Now you can try The Easiest Gary Gygax Quiz in the World!. Warning: If you haven't done the hard one yet, don't do the easy one; I wasn't looking at the hard one when I made it, so it inadvertently reveals some of the answers.